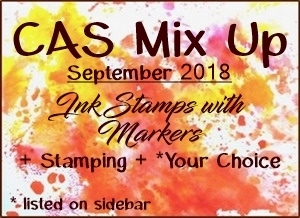 We're halfway through September already and it's time to remind you about the CAS Mix Up Card Challenge - Ink Stamps with Markers! For your inspiration, there are links to a lot of fun technique videos over at the Blog. 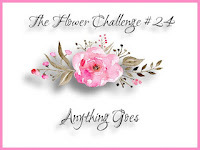 I just love the little watercolor garden scene I created here - and it was SO simple! I'm definitely making more of these! I have some older red rubber-on-wood Art Impressions stamps that I used but I guess they make them as clear stamps now as that is what Sandy used in her video here: Art Impressions Watercolor by Sandy Allnock (12:20) She used these stamps. 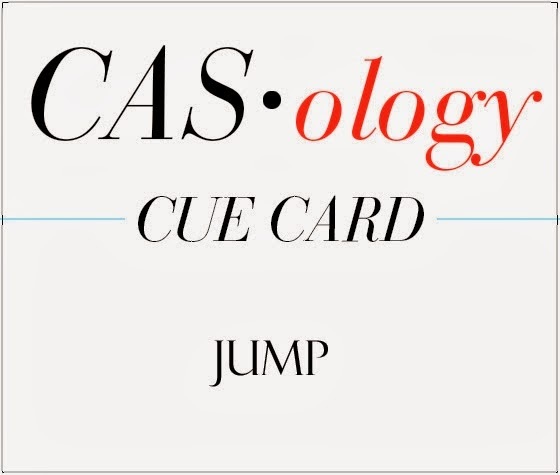 So please join the rest of the Design Team as well as our September Guest Designer: Chrissie (Simply One of a Kind) and link your CAS card up at the CAS Mix Up Challenge Blog - you have until Sept 24th! Stamps: Large Foliage, Salvia Branch - Art Impressions, Small Grass - Sutter Enterprise, Tiny Dots - Magenta. Accessories: Tombow Markers - gray, green, blue, pink, purple, Noted Scalloped Square dies - PTI, 3D Impresslits Mini Provincial die - Tim Holtz/Sizzix, foam dots, paint brush, water. 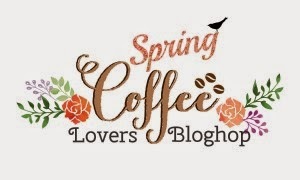 Today I'm excited to be participating in the Spring Coffee Lovers Blog Hop - you'll find all the Hop Information at the Coffee loving card makers Blog. I decided to make a tag that I can use when I'm gifting some coffee or even a Gift Card to Dunkins or Starbucks to someone. And I used a brandy new cup die from Tim Holtz called Fresh Brewed. I first dabbed the manilla tag with Tattered Rose Distress Stain - then I used Picket Fence Distress Paint with Tim's Splatters Stencil - and finally sponged Tim's Lattice Work stencil with Tattered Rose Distress Ink. I die cut the cup out of white card stock then embossed the pieces with Frantage Shabby Pink and Shabby White embossing powders and layered the pieces with foam dots. The Thanks a Latte is from the set Coffee Keeper from Art Impressions. I stapled a piece of Idea-ology Film Strip Ribbon to the side adding words using made from Idea-ology Label Letters. To finish it off I scattered Metallic Sequins around the tag and looped a piece of pink wrinkled seam tape through the hole. I'm also linking my tag to the Mixed Media Monthly Challenge - Think Pink. Some blogs as part of the hop will be giving away separate prizes, please make note of their own details regarding eligibility. 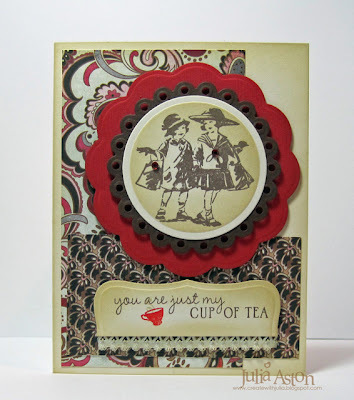 It's all about having fun and sharing our mutual passions of paper crafting, coffee, tea and/or the love of cocoa! Accessoreis: Idea-ology - Film Strip Ribbon, Label Letters, Tiny Attacher, Tim Holtz Stencils - Splatters and Lattice Work, Frantage Embossing Powders - Shabby Pink and Shabby White - Stampendous, pink wrinkled seam tape from stash, Metallic Sequins - My Craft Spot, Fresh Brewed die - Sizzix/Tim Holtz, Scotch Quick Dry adhesive, foam dots. Luckily I recently purchased a really cute coffee theme stamp set from Art Impressions appropriately called Cathy Caffeine! I colored her with Copics and cut her out with a stitched mat die. I ripped the top layer off a panel of recycled cardboard to expose the corrugation and used it for the background. And I just had to stamp a splatter over the sentiment - we coffee lovers always spill don't we?? The odds are much greater that we will since we always have a cup in our hands or on our desk right??! I also scattered some brown and tan sequins around my card. 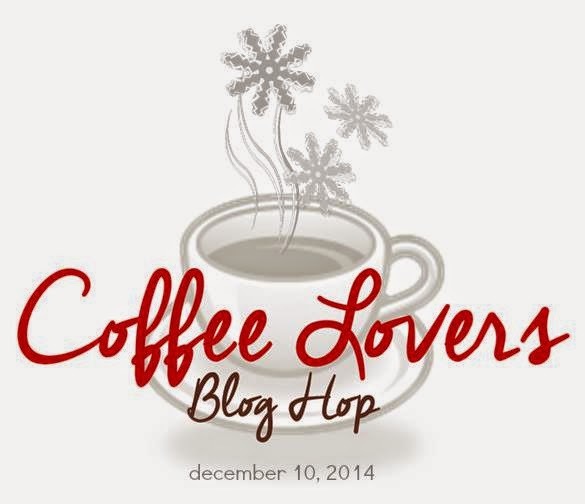 So we are all linking up our coffee lovers creations over at Amy's blog today - lots of people are posting blog candy so you might want to check it out! Instead of 'candy' I am sharing a recipe for Chocolate Covered Coffee Beans - as I decided to make some this year for holiday gift giving. 1. Using a double boiler melt the chocolate morsels over boiling water. When smooth - remove from heat and stir in the espresso beans. 3. Place a mesh strainer over another small bowl and pour the beans with the cocoa on them into the strainer. Shake the strainer so just the covered beans remain in the strainer. 4. Spread the covered beans onto wax paper to cool. 5. Continue steps 2 - 4 until all the beans are done - adding additional cocoa to the bowl as needed. Allow the beans to cool and package them up! Now - I have to say - they aren't as chocolatey tasting as the ones you purchase - there's a lot more chocolate around the bean on the store bought ones - so you taste more of the coffee bean with these. But I think any coffee lover will love 'um! I put the beans in a clear bag - and will make labels for them before gifting! 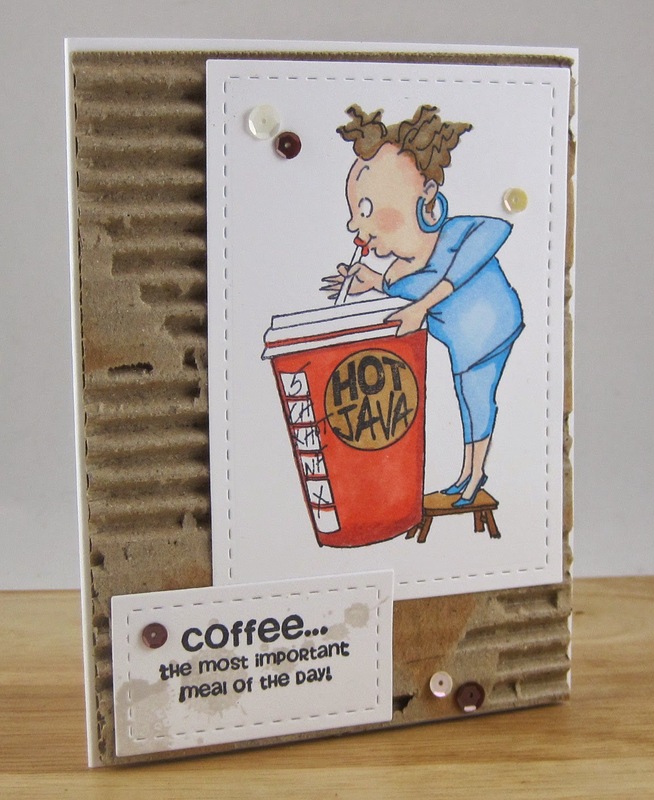 Now, let's all grab a 'cuppa' and check out all the other coffee lover cards linked up over at Amy's blog! Paper: White - PTI, piece of repurposed cardboard from a box. Accessories: Stitched Mat Rectangle Dies - Lil Inker Designs, Glue n Seal - Ranger, Copics - E00, E07, E35, E37, E44, B05, B21, R02, R05, Chocolate Sundae Sequins - My Craft Spot. 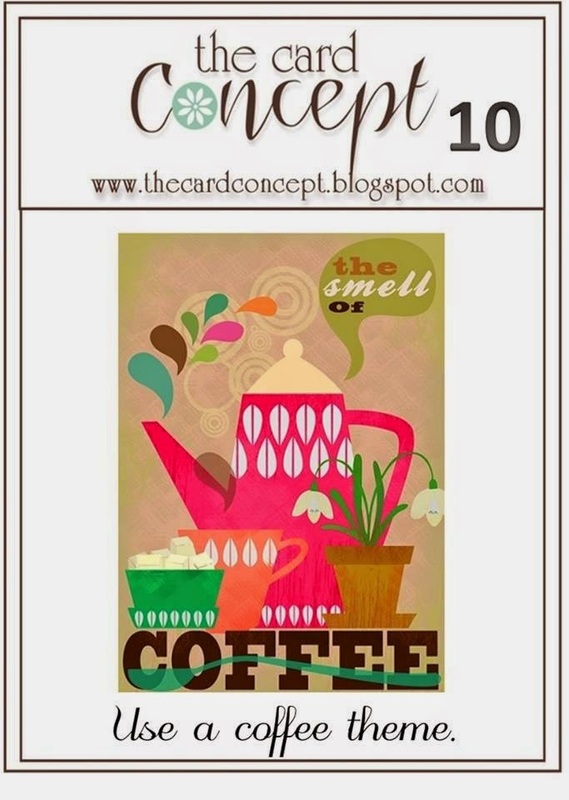 The Card Concept has a fun challenge with a theme that just about everyone loves - Coffee. I used a cool stamp set from Art Impressions called Coffee Keeper - that includes the cup with the cover and sleeve as well as some sentiments and steam curls. It comes with instructions on how to fold the paper, stamp images, what to paper piece and where to cut the slot so a gift card can be inserted under the flap. But I added a clip and the word 'open' stamped on a punched circle to hold the flap closed (see 1st pic above!) - that pleased my asthetic sense better than leaving it open a bit! Here's a close up of the sentiment stampings on the sleeve where you check off the boxes that you want - I know it's a little harder to read stamped on the digital paper that I used - but I thought it looked more like the corrugated cardboard that they use IRL! All the patterned papers I used here are digital from the Brown Grunge Texture set from All About Scrapping Etsy Shop - I won them from a challenge I linked a card to a few months ago and I just love them! I did mount the panel to a white card base so I could write whatever I wanted inside depending on why I was giving a gift card to someone - birthday, thank you etc. My style is clean and layering. Paper: white and rustic cream - PTI, Digital DP Brown Grunge Texture Set - All About Scrapping Etsy Shop. Accessories: round clip from stash, x-acto knife, ScorTape, 5/8" circle punch - EK success. 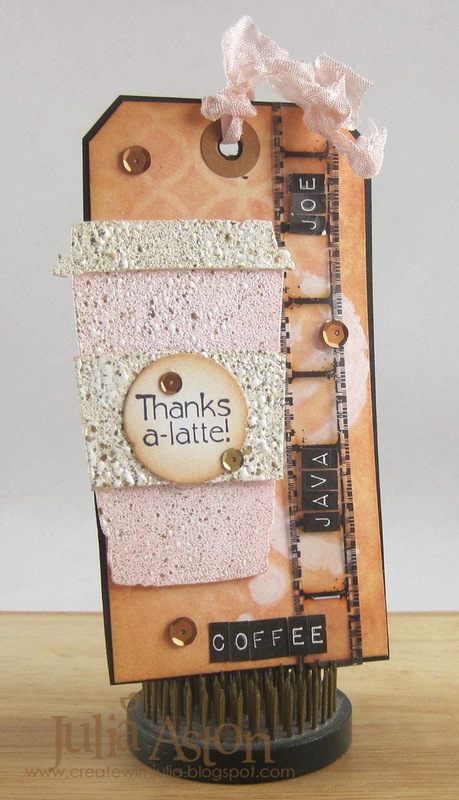 I have two cards to share today - the first is a coffee card - Latte to be exact! I've had this coffee cup stamp from Art Impressions for more than a year and this is the first time I've used it. The stamp set has instructions for making it a gift card holder by stamping the cover onto a flap and folding the flap over the cup - that you stamp, cut out and adhere just around the edges so a gift card fits inside the cup, revealed when you flip up the cover. I thought it was so fun! But today I just stamped it, paper piecing the cup and band using digi papers I won from All About Scrapping. Doesn't the band look like it's corrugated cardboard?! it's just a print! nice and smooth so it was easy to stamp the sentiment on it. I'm putting this card in the Addicted to CAS - Code Word: Coffee challenge. I was looking through all my stamps trying to find something different and creative for JUMP. All I could come up with is my little frog saying "you make me hoppy". Stamps and Framed Art die are from PTI. I used a new washi tape that I picked up at Michaels on sale this week - circles always seem to go with frogs (I guess because they are bumpy on their backs or their clear eggs are round?!) and I liked all the bright colors. I colored my frog with a green Gelly Roll pen that is very sparkly - you can see the sparkle on the close up here. When I was trying to find something special for JUMP - I googled 'Jack Be Nimble' - since he jumped over the candle stick - and I found lots of new and vintage images but this one cracked me up - translating Jack's jump into a small business plan - Prep - be quick, agility - be nimble, challenge - jump - I was going to just print it and put it on my card for the challenge - but the writing isn't too clear so I went to Plan B with Mr. Frog! Paper: white, dark Chocolate - PTI, digi papers Brown Grunge Texture Set - All About Scrapping Etsy shop. Accessories: washi tape - Michaels, framed art die - PTI, green Gelly Roll Pen - Sakura, red pen - Spica, foam dots. My card today combines the Split Coast Teapot Tuesday and Color challenges and I used Karen Giron's Sweet Sunday Sketch for my layout. The teaparty this week is all about friends and we're off to London (Ohio, that is) to bring some cheer as well as Happy Birthday Wishes to Brenda. Today's colors are chocolate, cherry and crumb cake and I thought this Basic Grey Bittersweet paper pad combined them all rather nicely as a background. The Little Shoppers are from Art Impressions, the sentiment and teacup are from Waltzingmouse. I wish all those in the US a very Happy Thanksgiving and safe travels if you are venturing out over the river and through the woods!